Car shoppers searching for a workhorse pickup truck model that delivers the best possible towing and hauling performance will be looking at models in the heavy duty pickup truck segment. 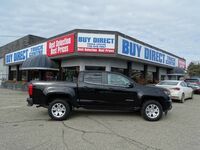 Buy Direct Truck Centre offers an impressive selection of used heavy duty truck models in Kelowna BC. 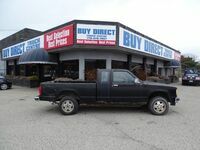 Buy Direct Truck Centre keeps our pre-owned inventory well-stocked with a variety of vehicles from many different brands. 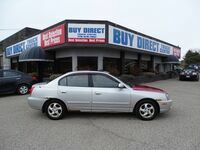 We carry an impressive selection of top-quality pre-owned cars, trucks and crossovers. In addition to our traditional pre-owned inventory, we offer a selection of wholesale models that offer even ore savings to our customers. An extensive selection of heavy duty truck models are currently offered to car shoppers. Many of these models have made their way down to the pre-owned market. Ford’s entry into the heavy duty truck segment includes the models in the Super Duty lineup. The Super Duty lineup offers multiple impressive engine options, including both gasoline and diesel power sources. Inside, the Super Duty offers an impressive roster of technology features, including Ford’s SYNC 3 infotainment system. RAM models have become known for offer impressive versatility paired with a comfortable interior and impressive technology features, including the Uconnect infotainment system. The RAM HD lineup includes a variety of models that are offered in multiple trim levels. Each trim level prepares the RAM Heavy Duty for a different need, from the workhorse Tradesman, to the off-road Power Wagon. The twin models in the Chevrolet Silverado HD and GMC Sierra HD lineups are ideal for everything from daily driving to fleet work. Both trucks offer gasoline and diesel engine options along with an extensive selection of comfort, safety and technology features. 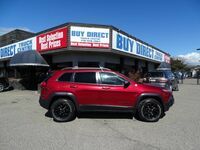 Take a look at our inventory here at Buy Direct Truck Centre to stay up to date on the vehicles we have to offer.